The Blurb: Few books have so seized the public imagination as Bram Stoker's Dracula, even more popular now than when it was first published in 1897. This critical work represents a rereading of the horror classic as a Christian text, one that alchemizes Platonism, Gnosticism, Mariology and Christian resurrection in a tale that explores the grotesque. 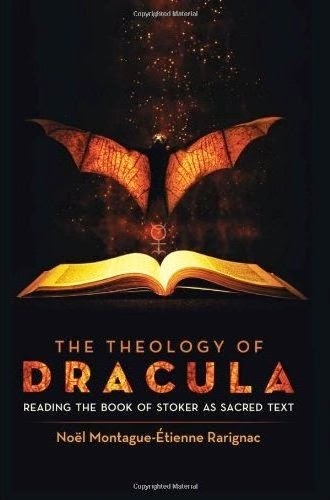 Of particular interest is the way in which the Dracula narrative emerges from earlier vampire tales, which juxtapose Apollonian and Dionysian impulses. 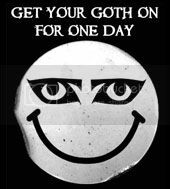 A strong addition to vampire and horror scholarship. The review: There is no doubt that Noël Montague-Étienne Rarignac is both highly intelligent and well read. Yet there was something about this book – as strongly as it was written – that left a bad taste in the mouth on an intellectual level. It wasn’t the tying in of Polidori’s the vampyre, along with Nodier and Dumas into a spiritual development of the vampire trope. More it was the concept that this was a conscious choice on behalf of the authors/playwrights. If Rarignac had suggested that he could see these patterns within, that is one thing, but I believe it to be a step too far to believe that Stoker was writing a book of gnosis. For instance, I was struck by a footnote that suggests a line from Lucy, regarding Desdemona, was not the casual racism that it is accused off but something more profound. Of course the likelihood is that an Othello reference was there because Stoker was employed in the theatre (indeed Irving had played Othello certainly just before their partnership) and the apparent casual racism was what it looked like – Rarignac, however, suggests Stoker is “attempting to clarify more strongly the significance of Quincey Morris—i.e., More is: The man subjecting Desdemona’s ear to a flow of words, Othello, is not a black man; he is a “Moor”. Quincey Moor-is Is-more than Quincey; he is Adam.” I adore Dracula and thus have high regard for the book’s author, but Stoker was not James Joyce and Dracula is not Finnegan’s Wake – I fear Rarignac reads way too much in. The author also leaves things out. I mentioned the timeline of prose/plays that is used as evidence. Rarignac tells us that pre-Stoker the female characters in vampire tales were, “Passive objects lacking original volition.” One questions whether that is true of, say, Ziska – the ghoul in Dumas’ play that the author uses as a piece of his puzzle. But the author has certainly overlooked, entirely, Carmilla - being the best known of the 19th century vampire stories with strong female characters/female-centric plots and a story which we are fairly sure Stoker was aware of. However, turning back to Stoker’s novel, not only was the description of Arthur staking Lucy as "wielding Thor’s hammer" very quickly covered, to the point that it felt almost ignored, but the entire devil aspect of the story was ignored. We know Stoker believed Dracula meant devil, we know the Count used the pseudonym Count De Ville and we know he was schooled in the Scholomance by the devil himself. Stoker clearly included these references for a purpose and, whether they fit with the hypothesis put forward here or not, they should be explored due to the direct Christian mythology invoked. Not mentioning this at all undermines, for me, any argument that Stoker was deliberately creating an alchemical or gnostic text – as the author has not addressed the content of Stoker’s text. I also noted that Rarignac uses Un-Dead in the modern sense of the word, however Anthony Hogg did uncover an earlier use of the word, which had a religious connotation that could have built into the author’s argument. Nevertheless (and despite the bad taste I mentioned) this was a great piece of theoretical writing, I disagree with the conclusion but I enjoyed the journey. 6 out of 10. I came upon your review and do want to say that I did not ignore Carmilla, and I did not claim that all stories that somehow might be seen as referencing a vampire were under consideration. I was writing about one particular string of works that are, indeed, interrelated, and in which set the LeFanu novella has no place. The entire chain of Lord Ruthven pieces do, nonetheless, relate to Dracula directly — including the modification of Dumas' play by Stoker-friend Boucicalt. As to Stoker's attention to character names, there is no doubt that Mr. Stoker invested very much in the names of his characters, whether Arthur Severn or Lucy Westerna or Rafe Otwell or Rupert St. Leger, etc..
2) Carmilla was a direct influence on Stoker and should - in my opinion - have been considered in your thesis. 1) in how much the earlier writers were adding in the symbology you see. I take your point re Stoker's use of names... but then he also incorrectly uses Dracula (as he believes it means devil) and also randomly (or perhaps not so randomly) throws in the names of acquaintances. Perhaps he used Harker as a reference to aural symbology, or perhaps he just liked the stagehands name. There isn't anything in the notes to suggest the deeper meanings per se. However, if I believe you are reading too much in, perhaps I'm wrong but - as I said in review - I enjoyed the journey. Could I ask why you didn't cover the devil aspects of the book? Due to file size limitations on uploading I must respond in two parts. As to “Carmilla,” I don’t know how influential that story was on Stoker’s deeper text, there are many claims made about Stoker’s influences, but I’m not so sure about any of them. He was more concerned with his religious view than with horror, more with the presence of the good everywhere than the simple conflict of good and evil — a conflict which, according to Stoker, inevitably reveals the good. While LeFanu belongs to an Irish Gothic tradition that Stoker seems to emulate, LeFanu’s theosophical bent, his Swedenbourgian devotion, is probably more cogent to Stoker’s work. Like Guy de Maupassant and Théophile Gautier, LeFanu did produce a remarkable vampire-themed novella, but with a feminine seductresses, daughter of the Bride of Corinth, of Lilith: an essential difference. 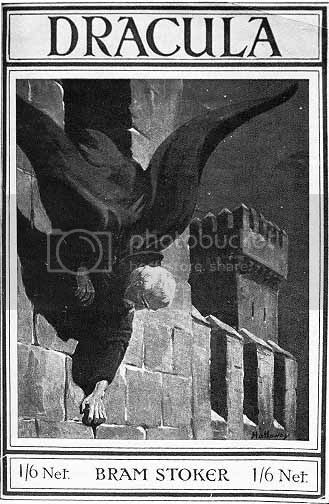 If many of the Ruthven works are cruder, they employ a particular symbol system that is absent in “Carmilla” or “La Morte Amoureuse” but which absolutely provides the bedrock on with Stoker sites “Dracula”. With Ruthven, it was the neoclassical of the Renaissance that triumphed over the Gothic, which is the case with “Dracula”. Stoker would have been familiar with "Carmilla" from the time of its publication, when he was still a young Dubliner, decades before he began working on Dracula. Still, many elements of "Carmilla" find interesting echoes in Dracula. For example, the slow wasting away of Carmilla’s host, hostess and narrator. Death came quickly to all of Ruthven’s victims, no matter the author, and even LeFanu’s narrator concedes that the case being reported was unusual, death coming rapidly to most of Carmilla’s victims. The description of the mists moving over the glade that presages the vampire’s arrival in a thundering coach, appears to have been exploited by Stoker — both the mist and the coach —; the ambivalence experienced by Carmilla’s more aristocratic victims as they langorously succumb to the opiate of bloodlessness; the discovery of the vampire’s tomb in a ruined Gothic chapel and the decapitation and the apparent exorcism of the fiend; the idea of vampiric contagion communicated through Carmilla’s love, and her wish to have the heroine die with her to claim eternal life as one; the vampire’s vice-like grip: all these images present in “Carmilla” are, yes, essential to Dracula. But if "Carmilla” may look like it should appear to the class of objects and texts I considered, there are fundamental differences. Dracula inhabits the east, land of resurrection; Marcilla comes from the west, land of death. Works from the Ruthven tradition all involve tracing repetitive journeys, going from west to east back to the west again, and in several cases, a further return to the east, as the sun itself moves from east to west. There is a doppelganger, not of vampire and victim, but of a masculine pair that are clearly Apollonian and Dionysian — Aubrey and Ruthven, Gilbert and Rutwen, Harker and the Count. The conflict between them is that existing between light and darkness. Carmilla can enjoy promenades under the afternoon sun, but my vampires not only resist sunlight, they must be nurtured according to the annual solar cycle, the coincidence of Earth and Sun. With Polidori, it was an annual event, with Nodier and later, it was biannual. Dumas makes clear that the hero and the vampire would struggle at the equinox to prevent the vampire from feeding and renewing his life, for the vampire in these works only sought the blood of his alter ego’s love or lover. In “Carmilla,” the vampire’s mother and her entourage figure prominently, both in the heroine’s narration and the secondary tale of the General. From the descriptions provided, it seems the mother is nothing less that Satan himself. Ruthven and Dracula, having no attachments anywhere, are less than diabolical. The heroes and heroines of my class of vampire tales are orphaned, their romantic attachments are near incestuous, the protagonists claiming that their fiancés are their or like their sister. Finally, the fecundity of the heroine is critical to the works I discuss – the heroine is destined to either reinvigorate the Dionysian by succumbing to the vampire, or to propagate with the Apollonian. In the alchemical parable that these texts present, the progeny of Earth and Moon, hero and heroine, bring forth a miraculous child, who will, nevertheless, eventually become the saturnine Dionysian figure that they had sought to defeat. Carmilla, lifeless, lacks fecundity and breeds death. In incidents and descriptions, “Carmilla” certainly informs Dracula, but beneath the surface “Carmilla” rightly belongs to its receuil of Gothic stories, In a Glass Darkly; “Carmilla” neither deals with the same system of symbolisation as Dracula, nor offers similar sense. Noël, we know the influence of Carmilla primarily in the fact that the original text of Dracula was to have been set in Styria (the same as Carmilla) rather than Transylvania. Indeed I have seen nothing in Stoker’s notes to suggest that the move to Transylvania was religiously orientated, more that his research discovered (via Gerard) a mysterious land (which Styria really wasn’t comparatively) that fit the Gothic sensibilities of the tale. This indicates that – in LeFanu’s lore – the vampire will sometimes destroy quickly and sometimes luxuriate in the kill. I also have to say that if Dracula had a doppelgänger it was not Harker. Rather it was Lucy who had three suitors much like the Count had three vampire women. I also cannot agree that Dracula had a less than diabolic heritage – indeed in Carmilla the mother’s status is never resolved (and thus to suggest she was the devil is reading in rather than extrapolating fact) – however Dracula (the name) is used because Stoker believed it meant Devil, he has the background being schooling at the Scholomance (which he understood to be the Devil’s scgool, as per Gerard) , he has Van Helsing state that the Draculas “now and again were scions who were held by their coevals to have had dealings with the Evil One” and he used the pseudonym Count de Ville. To suggest that Stoker was not openly writing a diabolic background for his character is really to ignore the text of the novel. I have to say, however, that whilst we may not agree I am enjoying this in comment debate.